Sony devoted much of their keynote speech at CES 2013 to their pioneering work with 4K displays: they are bringing Ultra High-Definition to LCD TV screens, camcorders and our cinema screens. 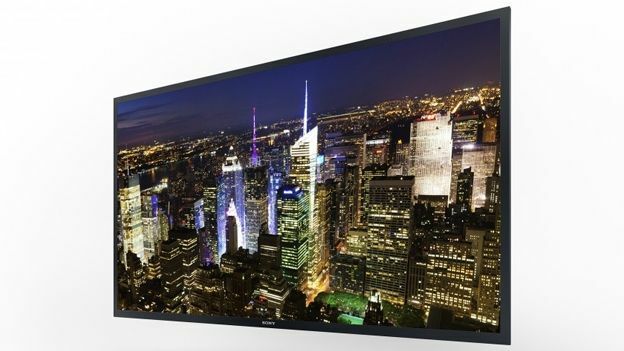 They are also blazing a trail by becoming the first manufacturer to combine 4K with OLED in a stunning 56" prototype. The set - which offers a native 3,840 x 2,160 OLED panel - was on display during the press day at CES. Unfortunately, when it's moment in the sun came during the keynote speech, it produced a Blue Screen of Death and was wheeled away to embarrassment and nervous laughter. Nevertheless, Sony insist the prototype "delivers all of the features expected from OLED TVs, such as high contrast, brightness, rapid video image response time and rich images produced even at wide viewing angles. Sony also announced that they will release two new Bravia 4K models in the spring, giving wallet-friendly 55" and 65" alternatives to the exorbitant 84" Bravia XBR-84X900. Elsewhere in their array of 4K product unveilings, Sony promised to offer a 4K video streaming service to the US this year. There was no word, however, on when it may reach UK shores. The company also had prototypes for 4K camcorders, which can also be used as projectors if hooked up to a laptop, tablet or Blu-Ray player by HDMI. The keynote also devoted time to the new Xperia Z smartphone. Check out our hands-on review here.